As Easter fast approaches, and the snow melts off the hills to reveal fresh flowers and fill the lakes, the Lake District is beginning to become active once more. There’s so much going on, and we wouldn’t want you to miss any of it, so here are our top recommendations for activities in April. What’s a visit to the Lake District without a little indulgence of delicious desserts? What indeed. At the Lodore Falls Hotel on Thursday 9th April you can enjoy a delicious 5 course meal, including as much dessert as you like at the end of it, and all in good company of course. If you’re here for Easter weekend, then you’ve probably found plenty to do already, but if you have time to squeeze in a little bit more it may be worth paying Skiddaw Hotel’s Easter craft fair a visit. Luxury gifts, handmade crafts, local art and more will be on display and sale in the hotel’s Greta Suite and the atmosphere is sure to be wonderful. The fair runs from 10am to 4pm on Friday through to Sunday, and is a wonderful chance for a slightly more relaxed day out, perhaps with a cup of tea or coffee before heading on elsewhere. Another Easter option, the ‘Mad Hatter’s’ Afternoon Tea at the Inn on the Lake promises to be an interesting and “quirky” experience. Starting at 12.30pm with an afternoon tea buffet, you will also be treated to a magic show, and children will be partaking in an Easter treasure hunt “Eggstravaganza”. 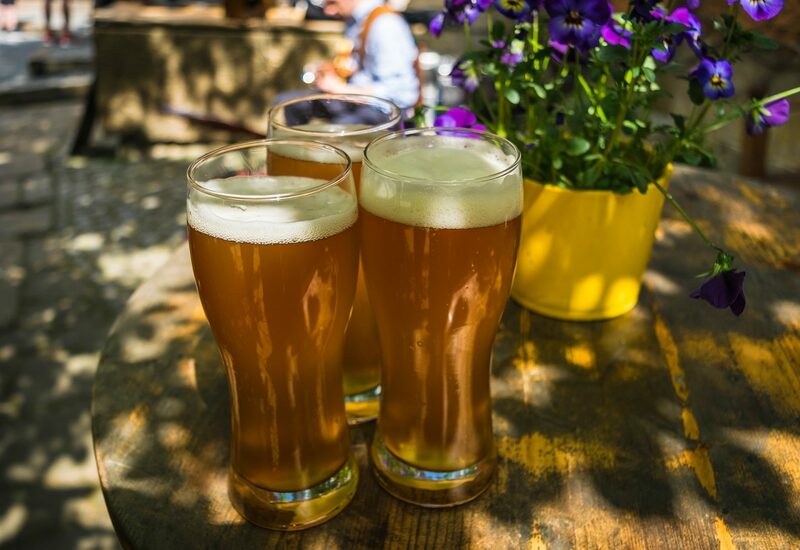 For beer and music lovers alike, Alexander’s Beer festival offers a little bit of everything. 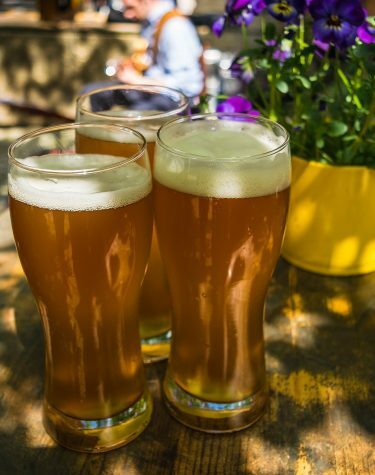 Enjoy a range of local, Cumbrian beers and perhaps even get a bite to eat while local Kendal bands The Fabulous Picasso Brothers (on Friday) and The Mustard Cutters (on Saturday) play a range of classic songs for your enjoyment. Admission is free, though the beer isn’t! You can start from 4pm on Friday or 2pm on Saturday, and the music is planned to begin at 7pm on both nights. Whether you go for the music, the beer or the company, it’s sure to be a great evening out. Avid and award-winning wildlife photographers Ann and Steve Toon present a talk on their experiences, from local Cumbria to the exotic Kalahari Desert in southern Africa. With plenty of stories to tell and photos to show, Ann and Steve will also be able to offer advice on travelling abroad, taking your own amazing photos, and will generally offer a pleasant opportunity to speak to two wonderful and engaging people. The local pub. All of humanity is here, celebrating their achievements and drowning their sorrows. The landlord and lady bustle about, serving bitter to the regulars and gin & tonics to the health-conscious; Tequila to the stag party and cocktails to the ladies. The till is singing, but behind the bar there’s a distinctly frosty atmosphere. The barkeepers know everything; they’re friend, psychiatrist and referee, party to every secret and tribulation. The old man at the end of the bar misses his wife; overbearing Mrs Iger exacerbates her husband with order after order; and Moth’s eyeing up anything with a pulse. As usual. As the clock ticks ever closer to last orders, what dark stories will the latecomers bring to the table? In the corner, a mysterious woman waits and watches the couple across the room – and Lesley flinches whenever Roy raises his glass to his mouth. From the writer of The Rise and Fall of Little Voice comes a vibrant celebration of the venerable British pub and its inhabitants. Two actors play the 14 colourful characters who collect at the bar to share their tales, comic and tragic alike – from first round to closing up. Organised by the Friends of the Coronation Hall in Ulverston, the award-winning Flookburgh Brass band, vocal quartet Voce and various ‘surprise’ guests will be in attendance for a delightful evening of music for all tastes. If you’re a classic car lover, and especially a classic car owner, then you’ll jump at the chance to visit Lakeland’s Motor Museum along with fellow classic car enthusiasts for their Drive-In Day. Simply arrive in your classic car, and you’ll get half price admission to the museum as well as the chance to meet and discuss with many fellow enthusiasts who are doing the same.